1. What Can We Learn From This Book? Xiao-Dong Chen, M.D., Ph.D. is currently a Professor in the Department of Comprehensive Dentistry and Chief of the Regenerative Medicine Program in the School of Dentistry at the University of Texas Health Science Center at San Antonio. He is also the founder and Chief Scientific Officer of StemBioSys, Inc., San Antonio, Texas and a Visiting Professor at Shanghai Jiao-Tong University School of Medicine. Dr. Chen received his M.D. from Shanghai Jiao-Tong University School of Medicine, subsequently entered General Surgery residency, and then served as a staff General Surgeon. He also has a Ph.D. in Hematology and Developmental Immunology and has pursued the study of mesenchymal stem cells (MSCs) since 1993. He received post-doctoral training in stem cell and skeletal biology at Yale University and the National Institute of Dental and Craniofacial Research (NIDCR) in Bethesda, Maryland. Dr Chen’s group was the first to establish a culture system, using cell-free native ECM, for expanding large numbers of high-quality non-hematopoietic stem cells (NHSCs) from various sources. To closely replicate the tissue specific microenvironment (niche) ex vivo, Dr. Chen and his team have extended their technology and developed 3D tissue-specific matrices for use in a variety of stem cell-based applications such as: 1) rejuvenating NHSCs from the elderly to establish a personal stem cell bank containing large numbers of high-quality autologous cells for treating age-related diseases; 2) inducing NHSC differentiation into the salivary gland epithelial cell lineage for repairing damaged salivary gland; and 3) enhancing the efficacy of bone marrow-derived MSCs for treating community-acquired pneumonia. The cell culture technology has also been used for other applications such as preserving pancreatic islet function, while reducing islet immunogenicity, for use in islet transplantation to treat type 1 diabetes. To foster the translation of his laboratory discoveries, Dr. Chen co-founded a startup company in 2010 (StemBioSys, Inc.; www.stembiosys.com). During the last several years, the company has been developing technology for scaling up the production of stem cells for treating human diseases, and providing a unique platform for quickly developing broad collaborations with other research institutes and biotech companies for basic research and clinical applications. Professor, Department of Comprehensive Dentistry and Chief, Regenerative Medicine Program, School of Dentistry, University of Texas Health Science Center, San Antonio, USA, VA Research Health Scientist of South Texas Veterans Health Care System, and founder and Chief Scientific Officer of StemBioSys, Inc., San Antonio, Texas. This is a great resource for researchers and clinician alike. 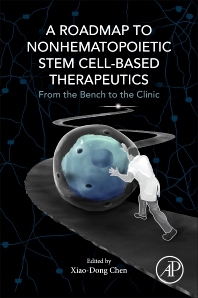 As the field expands rapidly many do not appreciate the fundamental methods, characteristics and therapeutic applications for mesenchymal stem cells. This book captures a range of different procedures that have enabled the field to move forward so quickly. Thank you Dr. Chen for putting together such a comprehensive resource.